More of the African Family Quilt. As a country to be born into South Africa’s politics shaped everything. The politics ate at the breakfast table, turned off the radio last thing at night… never something to be left to others. Not merely administrative decisions but every encounter influenced by its prejudices and expectations. We moved against each other, we blacks and whites, like separate shoals of fish, noticing, but seeming not to, separate doorways, separated schools and townships, and ‘whites only’ beaches, playgrounds, parks and buses. Because my family sailed against the winds, and pretended to be oblivious, and then defiant, I only really only see it clearly now: now that its worst excesses are past. 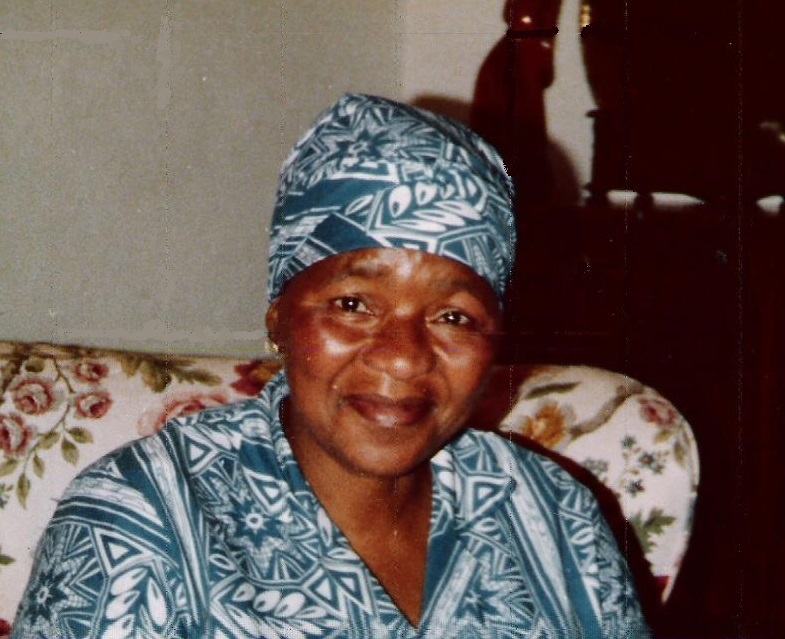 That is not to say it wasn’t a constant subject of conversation, but Mildred Thoko Ndaba’s relationship with my mother was a bulwark that protected us all. It was their love for one another that triumphed, and for which they each sacrificed almost everything else. How does one do justice to the character of everybody’s Mammy? Milly had the perspicacity and dishcloth efficiency of Calpurnia in To Kill a Mockingbird, the everlasting loading of a table, the sharp remark at bad behaviour, but more laughter than I remember from Calpurnia. Always laughing, doubled up and wiping tears and singing, always singing out loud or, on if on her knees, below the breath. She had the capacious bosom of Mammy in Gone with the Wind and the quiet certainty that without her the world ceased to turn. All of these similes are appropriate but none describe Milly (to most) Ndaba (to me). Ndaba as a name could not have been more apt- it means ‘big discussion-powwow’ in Zulu, and big discussion was her role, consulted by everyone, deliberating everything, and taking upon herself the management of lesser beings. We were all lesser beings. Milly walked into our life when I was six. My mother had survived farming me out to crippled soldiers while she finished her medical training. Confined to wheel-chairs, or on crutches they had little else to do but build me a go-cart, read me stories and see that I drank my milk. Together my mother and I, the only females in this interim desolated boarding house, had early solitary servings in a dismal dining room; eating marrow bones on toast or sardines on limp lettuce, before she took out Grey’s Anatomy in the room we shared, and then studied or wept. Her life was over before it had begun. On her graduation at twenty five, and landing her first job we moved out- into a high rise flat in the rougher part of Hillbrow with a balcony six floors above a square of grass, and a walkway on the outside. I was sent to boarding school. My mother worked round the clock. One morning, just on the point of departure there was a knock and a young Zulu woman asked for work. My mother had no time to talk, pulled her inside, and gave her the keys- of our life. When she came home the sunshine shone off every surface, and a meal was prepared. While she ate my mother asked how this rural girl (the same age as herself, about 27) had come, from where and why? It transpired that Charlie, who managed the garage below, parking cars for the block of flats, had been knifed in a fight, and killed. Milly, his young wife with three children to support had left Paulpietersberg in Natal, her rural homestead where her father had been Chief, and come to find work to support her children, now fatherless. That was in 1947. My mother died in 2000 and Milly in 2005 and they remained together for the whole of their lives. She was my black mother and more present than ever my white one could be. She made my mother’s professional life as easy as possible, hospital uniforms were starched, ironed and hung in rows, one for each day of the week, shoes were polished and all food prepared. As time went on and my mother gradually acquired wealthy private patients, Milly would accompany her to houses in Parktown or Inanda and while my mother massaged, or applied diathermy treatments, Milly learned from top level chefs in their kitchens; borscht and gefiltre fish (many were Russian Jews) and pickled and chopped herring, chicken soup, but also potato salad, meringues, fish pies, and goulashes. She then realised she could learn from cookbooks and her repertoire expanded with experimental dishes all her own. Independence was methodically achieved; there was nothing she would not tackle, except driving a car. No African woman in Johannesburg then did that. Milly had little regard for men ‘Ow darling what they for? Make work, make babies, useless!’ When my grandmother could no longer be cared for in Lesotho she moved in with us for her final years in Johannesburg, and these two large women could be seen walking arm and arm through the suburban streets stopping to bend over with laughter, jelly moulds of shaking. Enough to stop the passing cars. Blacks and whites never did that, never showed such easy intimacy. In her final year my grandmother Marna was far from easy, her blood pressure became both frightening and explosive, but Milly managed her irritability, and her frequent moments of confusion with restraint and compassion. The treatment of the elderly is something we whites never learned from those who had infinite understanding and respect for age. Milly could give telephone reports to my grandfather in Zulu; they never spoke anything else. When Marna died Milly’s tears filled her apron for weeks. The singing ceased. Chopping onions camouflaged the streaming and the sniffing. She only had ‘Windy’ my mongrel and beloved dog for company. They became inseparable. So the panel above denotes an absence as much as a presence. When the excesses of the Nationalist apartheid regime reached its zenith and not only men but African women were required to carry a ‘passbook’ My mother sent Milly as an emissary to Swaziland. Although her father had been a Zulu tribal chief, she also had Swazi blood. Armed with the evidence, carefully accumulated with endorsed signatures, she sat for three days outside Chief Sobhuza the Second’s kraal to beg a piece of land on which to build a house. An audience followed; land was granted: Milly henceforth would escape the humiliating ‘pass’. High-mindedness had its price and she paid it. Each annual holiday required Milly to ford a river, holding her shoes, and skirts above the water to cross the border . Then she would pick up the bus on the road clear beyond, safely un-recorded by the South African guards. That hut house would take years of blocks, corrugated iron and paint, the little each year my mother saved was for Milly’s safety in a very uncertain world. No electricity, no sanitation, but her own. A hut in the middle of nowhere, close to the border but hers with a paper to say so. Courtesy of the King in an independent country. In Johannesburg the tensions were rising, Mandela was imprisoned, and many friends too. The police swoops were becoming frequent, and pouncing on Milly, or dragging her from her room, was expected any time. My mother moved to the more relaxed Cape to run the ‘Why Not?’ a tea room with a sole franchise on the beach in Plettenberg Bay, the Cote D’Azur of the Cape Garden Route. It should have netted a fortune. Instead my mother worried about the starving coloured children, and provided what she could for them through a back hatch while being robbed front of house by their canny waitress mothers. It became the ‘Have Not’ within two years. Milly pined for African company, although for a time she stepped out with the Headwaiter of the grand Beacon Island Hotel, almost the only African about. She in Sunday best, he in a three piece suit with a fob watch. She could never make common cause with the predominantly coloured people, whose men fished, whose women drank, gossiped and had scores of children they could not feed. 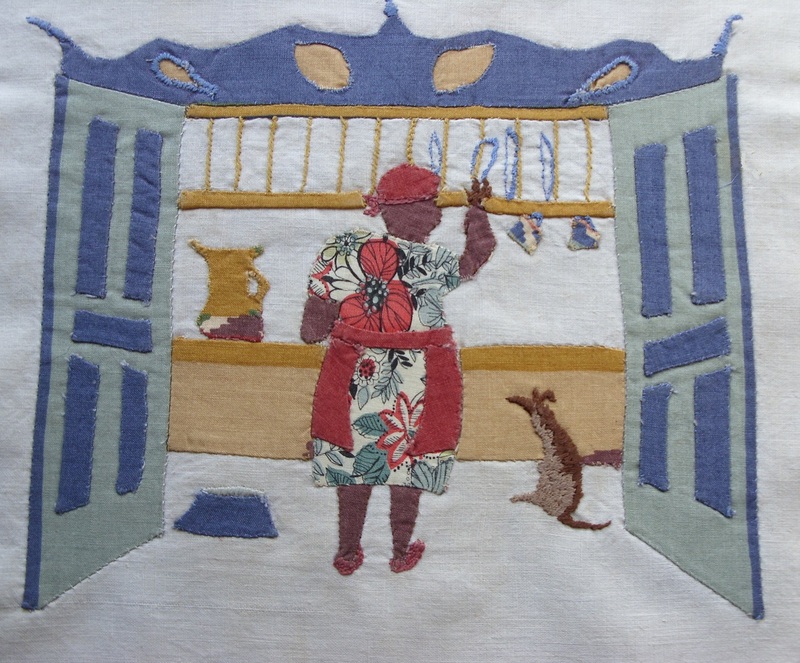 ‘They steal, they lie, and eva they are dirty, how can people not wash, eva rags can be clean; ow Nkosi how can people be like that?’ My mother lost what little she had taken, sold her modest house on the beach, and followed Milly to take up residence in Swaziland. She resumed her profession as a physiotherapist for the only clinic in the capital, Mbabane, treating accident victims, paraplegics and pre-and post natal women. Almost nobody in the country did not recognise my mother’s car, as I discovered, driving it. The hesitancy of all cars allowing unchallenged passage regardless of red lights told me all I needed to know about her driving. Her survival had been due to her essential role-and respect. As ever was, a shining face. Although it was not Natal, finally in Swaziland Milly was in her natural world, at the intersection between the white and African worlds but with a different colour in charge. She not only managed my mother’s modest flat, but the whole block of flats, the noisy residents, their servants, their children needing to be schooled, or their foolish adolescents needing a dressing down before pregnancy intervened. She supervised incompetent cleaners at the clinic and together she and my mother made daily pilgrimages into ‘town’ to add to the humour of all shopkeepers with their unending arguments about ‘esspensive mushrooms, ow much too much, but pawpaw can be nice for fruit salad but pity not ripe yet; still we can wait’ Lunch for Milly was a two hour siesta and had under the eucalyptus trees with passing friends: A bowl of stew and mielie porridge, infinitely elastic. He was talking to a woman whose bond with my grandfather was sharing reminiscences about early Zululand, where Albert Luthuli, (the Nobel Peace Prize re-founder of the ANC, when Mandela was yet a herd boy) was a pupil under my grandfather’s headship of Edendale School. What bonded Milly and my grandfather was their shared memories of longstanding Zulu culture, and rural traditions. Milly, a devoted Christian, and the only widow of her much loved husband did not dignify the question with an answer. Only when my mother died, and I returned to Swaziland to bury her did I meet the children abandoned by their mother. On a servant’s wages, plus what could be spared intermittently by my mother, she had educated them (including an additional adopted son, Samson) all for successful professional lives. They came from Johannesburg to bury the woman ( my mother) they had never met, whose daughter’s enrichment (mine) had deprived them of their mother’s joyful company. In the Church, close to family, they sat in the front pew, and I was rendered speechless by confronting what we had taken for granted. Understandably, they were very reserved with me, which grieved Ndaba. It was not an easy thing to face, but alleviated a little by Samson’s tribute to my mother’s help in his education, mathematics coaching and University enrollment. Samson is now a manager in a large sugar corporation and travels the world. Whether the 350 odd who turned up from the length and breadth of the country had come for my mother or for Mildred Thoko Ndaba was a moot question. That was as it should have been. They were two sides of a single person in a country that sought by every means to ignore matters of the heart. The example they set by refusal to be shaped by the country of oppression has been at least, and at last, saved for others like them. I miss Ndaba everyday. ‘Take it easy darling, take it easy’ her mantra. O Philippa, this is such a beautiful piece of writing thank you so much for sharing it. I will share it on social media and am about to email it to Gillian who lives in Durban. I can see the goodness of Milly’s heart in the photograph and it makes my heart swell to know that there were people such as she – what a blessing to humanity and to you and your family. My Jane who still works for me (32 years now) has been responsible for helping me bring up my two sons, on her back as babies. Fortunately, in my home while growing up, we were colour blind. I will never forget the time when I ran away from home (a very long time ago, when Moses was a boy, in Somerset West after an argument with the parents who wouldn’t let me attend a party) and was walking along the road in the dead of night to catch a bus to get to Gordon’s Bay.. I was walking alongside a coloured township and a man came up to me and walked with me to the main road and ensured that I got on the bus. He knew this wasn’t wise for a meisie to be out on her own on a Friday night. Thank you again for this wonderful piece of writing. Susan, your pleasure gave me great joy- almost goosebumps…no not almost! Apropos babies on the back, when my first grandchild was on Milly’s ever consoling back and we walked through CT ‘waterfront’ everybody stared. She was outraged. ‘Don’t these people live in South Africa?’ What do they think?! The memories get more vivid everyday, and I hoped it would resonate with you. A gripping read. Thank you for sharing such evocative memories. A heartening reminder that people who listen to their hearts and respect each other can reach across divides and form friendships against all odds. Bless Ndaba and your mum. It means a great deal that you enjoyed this. It is difficult not to question the sharing of the deeply personal- and whether it has any resonance for others. Ndaba was a towering person, but unaware of her natural influence, always utterly modest, This small account is all the tribute I can offer what should be a known immortality. As an only child she relieved me of any anxiety about my mother, she would always be there. I have been working intensively all week on some revisions, but I just wanted to pause to say that your two recent “African Quilt” posts are quite wonderful (as are the quilt squares themselves). Already, I can envision a book in this direction. The material is, in and of itself, incredibly rich, but the element of time also gives them a challenging and paradoxical quality. The memories are vivid; they jump out at you as though the events had happened yesterday, and yet the whole world you describe is now a part of history. Almost inevitably, with writing of this type, there is a sort of bittersweet nostalgic quality, but this tone is only there enough to be registered; it does not define the work, which has a certain flintiness to it, as though you were taking stock of all essential memories, and setting accounts right. Before I got preoccupied, I had meant to write to you about the safari piece, which had a good amount of resonance for me. Your description of everyday discomforts and hardships overcome was very much on the mark. I could certainly feel, the hunger, thirst, heat, muscular soreness, lack of privacy, exhaustion, and material scarcity of your excursions; at the same, without these, there would have been no real sense of adventure. Children growing up, at least in this country, today, lead far more comfortable and protected lives, with much less of a chance to wander, to test themselves against dangers, and to get hurt, and yet I am not sure that we have done them any favors in protecting them to this extent. I do not exempt myself, as a parent, from this trend in over-protectiveness, although Deni and I have at least made conscious choices about how much danger might be acceptable for Elizabeth. Although her primary focus is academic and creative, Elizabeth has had at least a few years of experience with camping, swimming, skiing, and mountain climbing. A few years back, she got stuck on a cliff-face on which she couldn’t climb up or down and, quite unexpectedly last summer, she almost drowned while swimming 40 feet out on an ocean beach. As horrifying as such things are to me as a parent, I am grateful that she has had a chance to test herself in an other-than-urban environment. And after a difficult sixth and seventh grade, it is even possible that the birth of her mature self-confidence—as sometimes variable as this is—dates to the first summer that she spent in the woods, with friends and dependable guides, and away from the overprotective tendencies of her parents. In short, I don’t think that there can be any real sense of adventure without discomforts endured, dangers confronted, and hardships overcome. You have beautifully captured this dynamic in several of your recent pieces about growing up in South Africa. I am pleased that ‘flintiness’ remains! It is all too easy to be carried away by memories and their sweet residues and for these to flavour with stickiness or rancid aspic. Certainly my childhood was bracing but for that I am grateful, it was a necessary training for what lay ahead! If I was not averse to any form of proselyting I could become an advocate for the healthy neglect that offers a child privacy to discover.